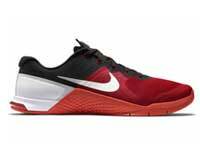 The Nike Metcon 2 is designed with a flat and firm heel that creates stability that works great for heavy lifts. It’s really a great choice for the modern day weightlifter or crossfit trainer. 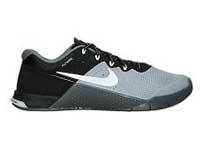 With its 4 eyelets and 36-inch laces, the Metcon 2 offers solid protection and versatile use. 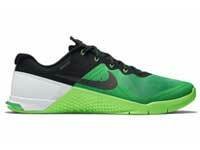 The Nike Metcon 2 has been out for a few years, displaying its incredible versatility and design tailor made for the modern day gym rat. The new gym sneaker to be light enough for gymnastics, durable enough for climbs and runs, flexible enough for moves like lunges, and supportive enough for Olympic lifts. Now the Metcons are cool for when I go to the gym. I swear I can squat about 20 pounds more with these babies! Must be the balance or something. I like Nike. They definitely produce products with high quality. How much is this? Yes Ricardo me too! I love Nike. I have one that I use when I play basketball. I like the black and grey one! Nike is very tough. You can use it for decades. This is dope! Not only for weightlifters man…I think it’s versatile. Gym shoes, yeah. Great construction, awesome materials used! Nice update from the Metcon. Defo gonna cop this one. In green dude, green! The metcon’s got class. The firm heel looks like good protection when lifting heavy weights. It looks like good footwear for stair climbs too. Probably the ideal shoe for triathlons and cycling competitions. I’d like to know if it has as much bang to its bite after heavy usage. It also has great zeal and could probably be used additionally for casual wear. Thanks for the article. I’m a fitness buff so finding the right shoe is not an easy task. 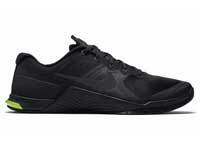 The Nike Metcon 2 speaks to me on so many levels. I love the design.. Very comfy and sturdy. I love it for working out and going hiking. The red one has gotta be my favorite. It’s the perfect pair of shoes for long workout sessions. I bought a pair early this year and I must say that I’ve never had a cross trainer this comfy! Whether you’re on your morning jogs or regular gym visits, it’s stable and durable enough to last you long. I have little regret investing in these babies!! They’re nothing short of great! Although it took me a little under a week to break them in, they’ve been the most comfortable pair I’ve worn for my circuit training! They’ve been a great ride for my feet overall but I don’t recommend you take ’em out running on the road for long stretches. There are definitely running shoes built with thicker rubber soles for that!